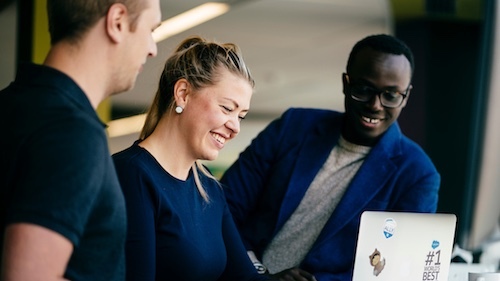 Salesforce architects work directly with customers looking to change their business — to modernize business processes, implement solutions faster, and improve user experience. From every point of the business, they’re helping customers become Trailblazers. Architects help customers launch strong and stay strong — “Salesforce Strong.” But what do our Salesforce architects actually do every day? 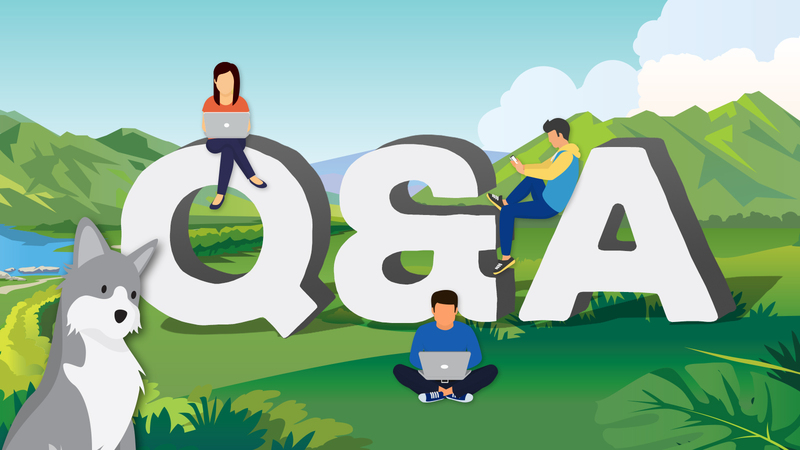 This Q&A series will help you find out what our top Salesforce architects are doing, thinking — and getting excited about. Q: Hi, Thaddeus. 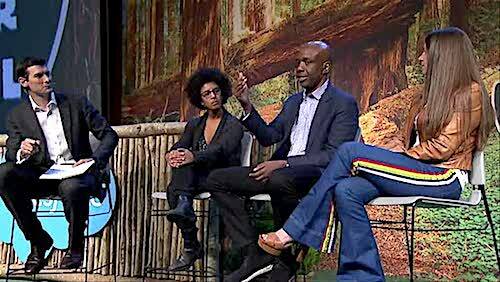 What’s your background, and how did you come to Salesforce? A: I came to architecture through the business side. After spending 20 years in sales process and strategy consulting, I was starting to get bored and wanted to get my hands on the technology itself. I joined a Salesforce ISV (independent software vendor), learned how to do implementations, and as we developed our products, improved my skills and then finally moved into leading the expert services team for that ISV, which was a team of skilled business architects. I joined Salesforce after that role. Q: As an architect, what do you like best about working with the Salesforce Lightning Platform? A: I find the Salesforce Lightning Platform to be incredibly empowering. It’s a platform that allows a relatively analytical person like me to take an abstract strategy and turn it into a set of tools people and businesses can actually use to make their business better. And for me, going deeper over the years, there has been a nice progression from logical thinking to understanding the code behind the platform. The Salesforce Lightning Platform itself facilitates that progression, and it’s been very rewarding for me to learn and to grow my skills within the platform. Q: What does your day-to-day job look like? A: My best days involve facilitating new ways of getting work done with the Salesforce Lightning Platform. This means a lot of coaching: helping executives learn how to work effectively with real time data, ensuring customer and partner teams know how to design work processes in the system, and showing customers how to configure successfully. By the time we get involved, most customers are well on their way to making good progress on the problems they know they have — and have very smart people working on them. That means (at least in my experience) that we add the greatest value when we can demonstrate how to solve problems customers didn’t even know they had. Q: What kind of training do you need to be a successful architect? A: As my background shows, you can come into this from almost anywhere. A broad spectrum approach is actually helpful in learning how to manage the platform. I would say that keeping up with the platform is challenging as it grows, and those evolutions we’ve made — particularly in the past couple of years — can have great impact on the ways customers can and should think about it and engage successfully with it. It’s also my job to keep pace with evolving business themes and strategies, and how technology can help manage those, as well as understand and coach on the best practices for digitizing operations. Q: How do you ensure success for a project? A: We can’t ensure success but we can certainly mitigate the risk and maximize the rewards. I try to do three key things when I engage with Salesforce clients. When you step back, you realize that we’re creating digital workspaces that will impact the daily lives of thousands — often hundreds of thousands — of people. How do you make it livable? How do you keep it livable? These are incredibly important things to understand and commit to up-front. It’s my job to fully understand the platform and to coach them properly on using it to its best advantage. I believe firmly that the more everyone in the customer organization has some level of understanding about how the platform works — strengths, limitations, and tradeoffs — the easier it is to make good and sustainable decisions. Finally, it’s important to effectively model processes more generally so they can be adapted in the platform to match the customer needs. Ultimately, the specific code and configuration developed in any time period is ephemeral, but building good cloud work habits, collaboration skills, and ways of thinking are gifts that keep on giving — and can keep an implementation on the rails long after we have left. Q: What does “Salesforce Strong” mean to you personally? A: It means the courage to face realities of customer situations, know our own platform capabilities and limitations — and still find paths to greater value and happiness. Q: Do you volunteer with Salesforce? What’s your chosen cause? A: VTO is important to me, and I did 72 hours last year, which I feel good about. I’ve spent some time working in the nonprofit sector, and do a lot of pro bono work for Salesforce.org customers. My recent projects have included (RED) and Feeding America. 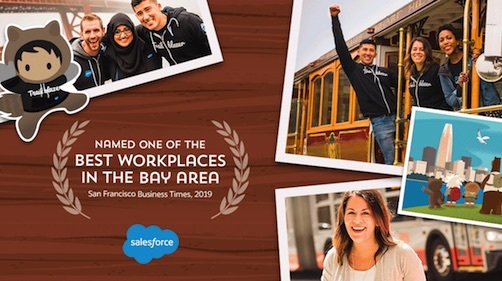 Want to join our Salesforce Strong cohort? Check out http://certification.salesforce.com/architectoverview, and register here for more information about how to launch epic Salesforce implementations.